So you want to throw a surprise party for a friend or loved one, but don’t know where to start, or how in the world you’re going to pull it off? Welcome, my friend. You’ve found yourself in the right place. 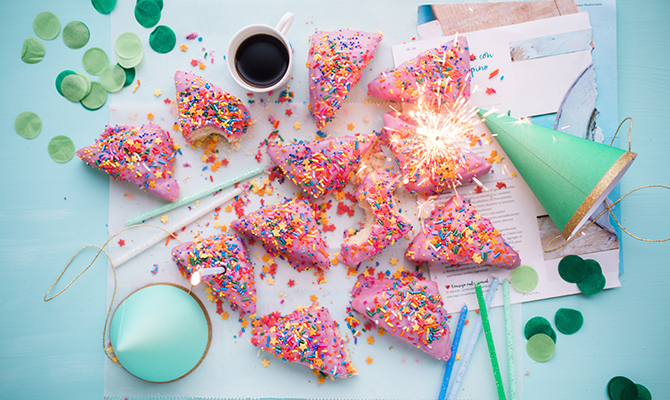 We’ve put together the ultimate guide for how to throw a surprise party, and actually pull it off! 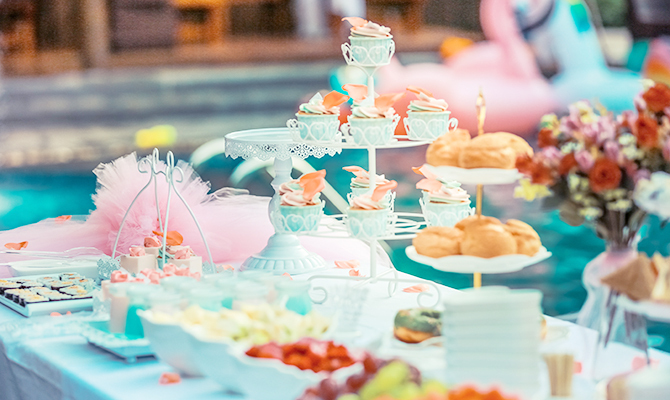 From top secret invitations, to determining the perfect arrival time, we cover every ingredient necessary to throw a surprise party that will be the event of the year—and for the birthday guy/gal, the event of their life! These seven steps will make throwing a surprise party a breeze, and have all your friends asking you for your help with their future birthday party plans. Before you get too excited and start searching for decorations or ordering a cake, you need to start thinking about who will be attending. This is important because a party with a guest list of 10 vs. a party with a guest list of 50 will need to be held at a very different venue. So grab an old fashioned pen and paper (or call up Siri) and let’s get to working on the guest list! Ok, got that part finished? Great! Oh! Keep that list for step 3, but for now you can set it aside. Now that you have a ballpark figure of how many attendees you’ll have, it’s time to start looking for a location. Much like a wedding, this part can be fun (as well as stressful). When looking for a place to host, make sure it can not only accommodate the guests on the inside, but parking as well. The last thing you want is to host the party at a restaurant with only up-front parking spaces, so the surprise is ruined as the honoree pulls in. Another thing to consider while venue searching is the layout of the area the party will be in. Is it a restaurant with a back party room? A country club where the main doors lead right into where the party would be? Someone’s house, with nowhere to hide the cars? Keep in mind you’ll also need to book the venue for about an hour before the actual party will get started. All of these details need to be taken into consideration in order to throw the perfect surprise party. Ok, so you think you’ve narrowed it down? Great! Now, secure the location! Make the reservation and be prepared to put down a deposit. So now you know where it will be and who you want to attend. Perfect! However, a guest list is useless if you don’t actually invite the guests. Here comes the tricky part (well, one of them). Since you’re not throwing this surprise party for yourself, you’ll probably need to gather a bunch of phone numbers for someone else’s friends and family. You see, while paper invitations are great (and appropriate) for weddings or other large-scale, formal events, a paper invite for a surprise birthday party presents two problems. The first problem is it can easily get lost in the shuffle of junk mail (ugh) most people get daily. The second problem is that it could end up being seen by the honoree. Many people put invitations on their fridge, and assuming friends and family are being invited to the party… there’s a good chance that the honoree could pop over to one of their houses before the party. It’s best not to risk it. Just use a service like Punchbowl to send an adorable, animated invite right to their phone! With Punchbowl, they’ll receive a text saying “Host’s Name invited you to a party!” (They fill in “host name” with your name, of course.) And right below it is a link. 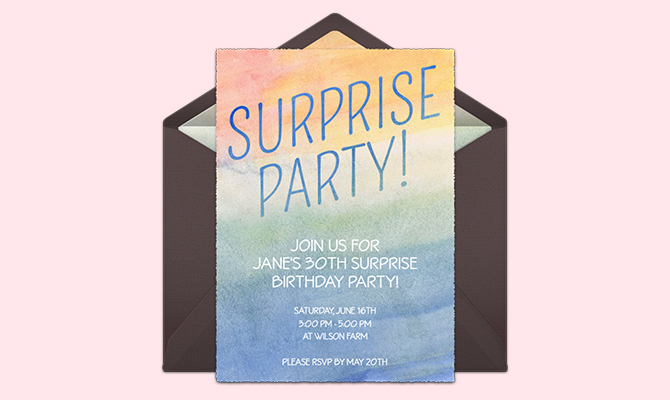 All the guest has to do is tap the link and watch an envelope open up to reveal a surprise party invitation with all the details and features that a paper invite would have! Next, the guest taps “yes” or “no” to RSVP. It’s that easy! There’s also a place to account for plus ones, or children. As the host, you now have a place to view the guest count right on your phone—and can avoid the honoree finding your little tally-marked RSVP list. What’s a party without food and drinks?! One with a hungry crowd of people, that’s what. Proper etiquette says that if you’re hosting a parting during traditional lunch or dinner time, you should provide a meal. If your party is in the afternoon or late-night, hors d’oeuvres are acceptable. If your party is at a restaurant, double check their policy for bringing a cake. Some restaurants insist on you purchasing and serving their own desserts or charge you a “cake cutting” fee if you bring your own. If a pot-luck is more your style, by using Punchbowl for your invites, you can also keep track of who is bringing what, right in the app. Because there’s nothing worse than having eight fruit salads and no main dishes. Be sure to overestimate on the food amount, too. 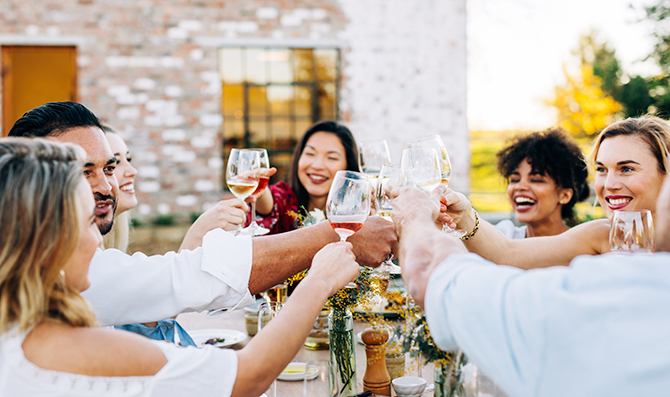 Proper party hosting means planning for at least five extra people, knowing that someone will forget to RSVP, some won’t include their plus ones in their RSVP, and some will say they’re coming, but don’t. You can’t throw a surprise birthday party without decorations! That’s right, we’ve finally made it to the fun part. If this is a milestone birthday, go all-out with age themed decor. Otherwise, choose some colors you think the birthday guy/gal will like or you can be our favorite type of person and throw a theme party. 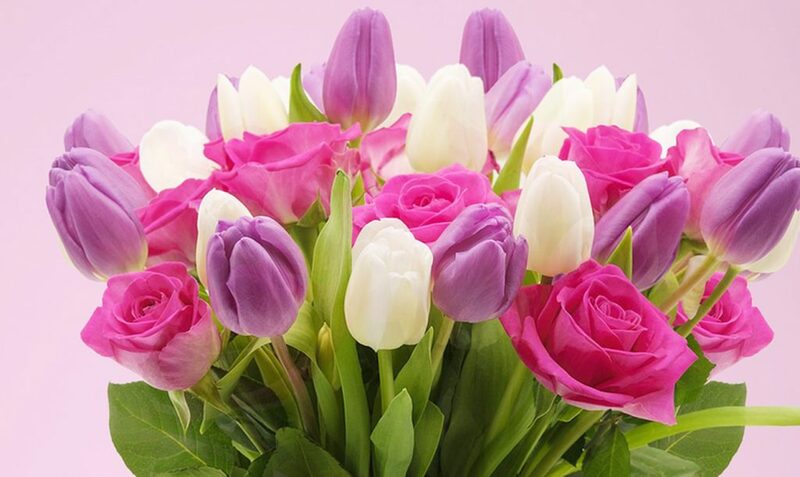 Whatever you decide, we’re sure your special someone will be overjoyed with your thoughtfulness. 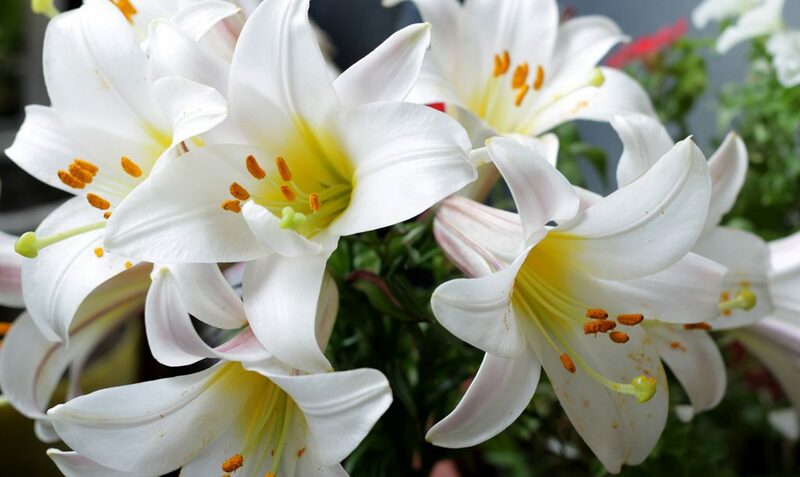 A great place to draw inspiration, as well as order your decorations from, is Oriental Trading. They have a ton of themed party supplies, as well as every solid color you could imagine. Trust us when we say that timing is everything. Let me say that again. 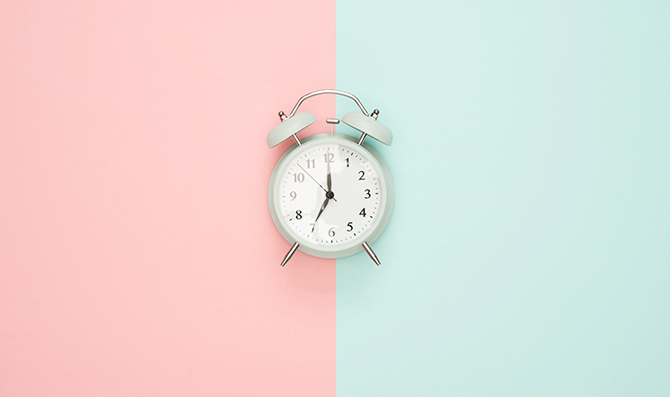 Be sure the time on the invitation is the time the guests should arrive, and that it’s early enough for the inevitable stragglers. Some people are extremely punctual, whereas some think that a 5:00 invitation time means show up between 5:00 and 6:00. Play it safe, and have people there well before the guest of honor will arrive. It’s better to have guests bored for a half-hour than having months of planning ruined at the last minute by a late-comer and guest of honor walking in at the same time. 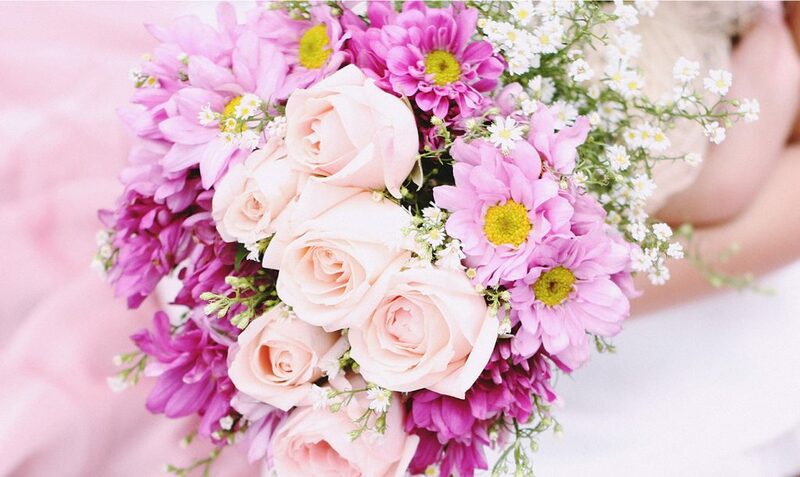 One of the best ways to ensure the guest of honor’s arrival goes smoothly is to have a friend help you. Have a friend greet the guests at the venue, and you arrive with your guest of honor. Then, any last minute incidents can be fixed with your Julliard-worthy improvisation skills. The moment you’ve been waiting and planning for is finally here! Be sure to catch it on camera! Although you may think hiring a photographer for a birthday party is a bit extra, this is most definitely something you’ll want to look back on. Having a professional photographer there ensures that, the moment the guest of honor comes in gets captured in a high-resolution photo that isn’t blurry from the cell phone user jumping when they yell, “Surprise!” or has a finger in front of the lens. Talk about upping your Instagram game. 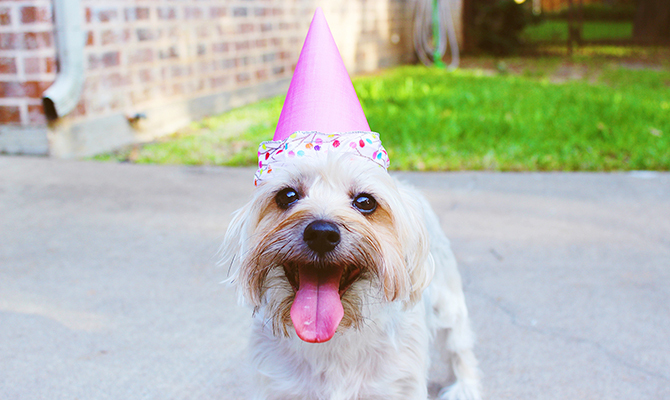 Now you have the seven secrets to pulling off the perfect surprise party! Remember to have fun in the process, these are memories that will last a lifetime. 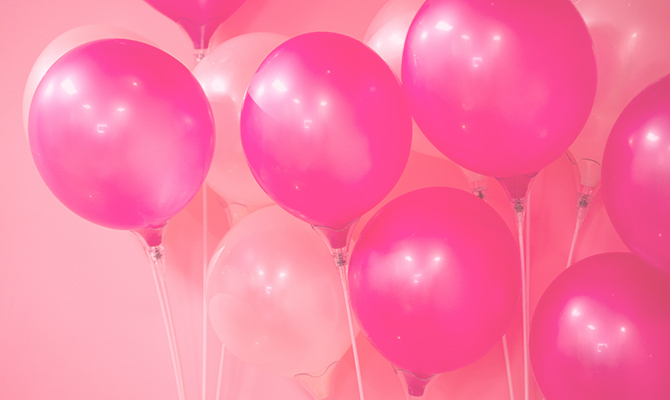 If you throw a surprise party for a friend of loved one, be sure to post pictures on social media and tag us (@givelovingly) with #surpriselovingly —we’d love to see!